From the type of serving tray to pitcher and coaster design, there are many ways you can enhance the experience for the bartender and the customer. Branded beer serveware is also a great marketing opportunity to keep your brand name top of mind. When a group wants to serve themselves beer without ordering individually, beer towers can be a great alternative to pitchers. While being less messy, typically they are also able to hold more volume. Whether indoor, outdoor, plastic or galvanized, buckets come in many different shapes and sizes. While keeping your drinks icy cold, branded traditional, specialty or large tub buckets are great for boosting brand visibility. Caddies are a great way to keep tabletops from becoming overcrowded. Besides keeping condiments orderly, wire, cardboard or plastic custom caddies are excellent for displaying your brand tableside. The type of serving trays you have should be fit towards your menu, level of service and staff. Customized trays with an anti-skid surface are a great way to safely serve your fine food and drinks while keeping your brand front and center. 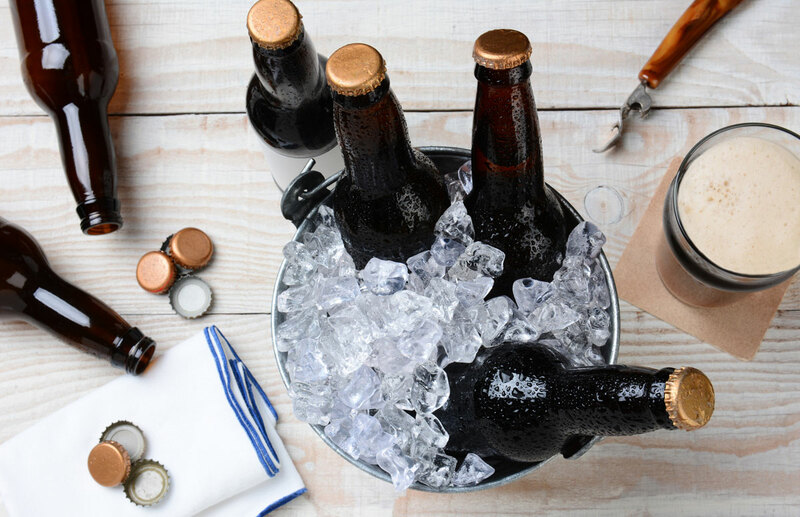 Thick, clear glass pitchers are perfect for serving ice cold ales and lagers. Stackable plastic pitchers are an economical choice for parties, festivals and outdoor events of any sort. Since beer enthusiasts tend to be on the go, growlers are the ideal solution when they can’t carry beer out in a bottle or glass. This also makes them an optimal promotional tool—put your logo on it and your brand will travel with them. A staple at any bar, a typical taster paddle holds four small sized glasses. These are perfect for letting guests sample a variety of brews, especially when you have an array of seasonal specials.